Imagine that you’re going head to head in a game against your friends. You have the enemy in your line of sight. You take aim, and, just as you’re about to pull the trigger, your frame freezes and you discover you’ve been killed and your team has lost the match. If you’ve experienced such epic fail moment, then you need to look into improving your lag. An Internet speed of 20Mbps (Megabits per second) is enough for gaming. However, in the modern home, you might have several devices connected to the Internet at one time. And if you use the Internet for other things, such as streaming music, watching movies and working from home, this all puts a strain on your bandwidth. In this instance you should look at an Internet connection over 20Mbps. 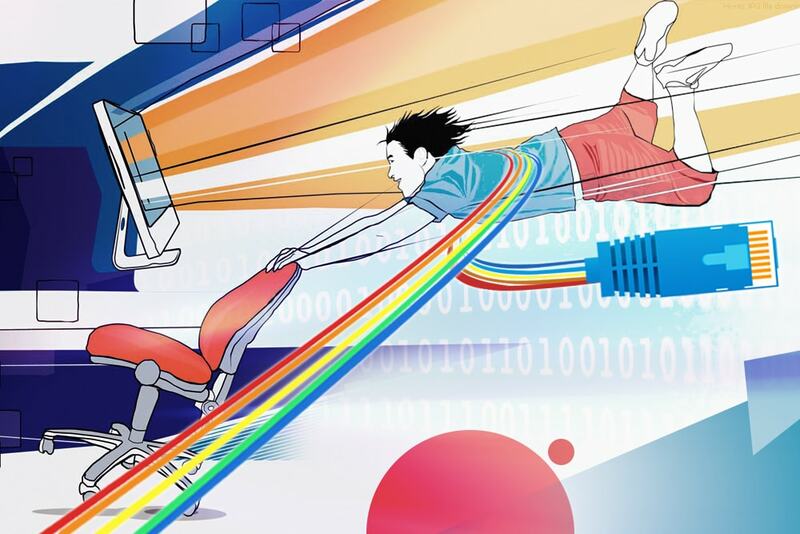 Although superfast speeds are not needed for gaming, fiber broadband would provide you with the best gaming experience – giving you a much more stable connection to the Internet. Plus, fast upload speeds are great for streaming services like Netflix or YouTube. So, contact your Internet provider now to have a certified fiber optic technician upgrade your Internet to fiber broadband. Check your Internet connection to see what speeds you are actually getting. Use your main computer, smart phone or tablet to do this. Run the test at least 3 times to get an average upload and download speed. If you have an old router and/or cable modem, then chances are it’s not able to keep up with modern web traffic. Look at switching to fiber broadband by contacting your provider. Avoid connecting your desktop PC to the Internet through Wi-Fi as it limits the bandwidth you can get. Instead Wi-Fi should be used for your other devices, such as laptops, tablets, smart phones, etc., and day-to-day usage. Run a ping test to check the quality of your broadband Internet connection. A latency number of 61-100 is just okay. However, you are going to have lag time in every single game you play and it’s going to be more than normal. This is going to affect the way you game in quite a significant way. If latency is a concern, there are a number of possible solutions. If you’re gaming on your computer, close all other programs you are running and windows that are open. Check if anyone in your household is running any bandwidth hogging services, such as Netflix in HD, or are also gaming online. Remember, the number of devices or services actively using the Internet will affect your ping rate. If you have connected your console to the Internet using an Ethernet cable, check if the wires between your router and the wall box are plugged in fully. Turn your router off and unplug the power cables. Wait for one minute, afterwards, turn it all back on. If you have tried all the above solutions and you still have a high ping rate, then the only thing left to do is contact your broadband provider (provider contact details can be found here). Their accredited fiber optic technician will be able to test and fix any possible issues on their side.